I’m not a massive ‘beauty blogger’ as I tend to stick to the fashion side of things more often. But I wear make up every day, and I’m forever purchasing new cosmetics to try out, but I rarely blog about them. I’m no make up expert and have zero application skills, but I’ve noticed lately that Beauty Courses in Birmingham are available, including Weekend Beauty courses. 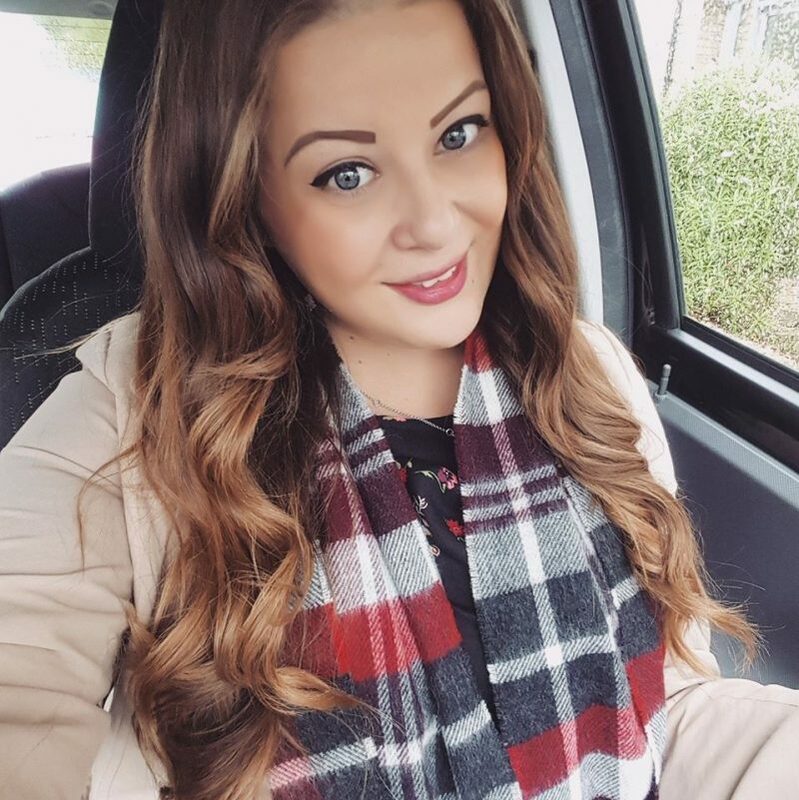 I don’t buy any high end cosmetics, as I shop at Superdrug and Boots to pick up my favourite make up brands. I’m pretty thrifty when it comes to buying make up, as I don’t really believe in expensive brands being any better quality than drug store brands. 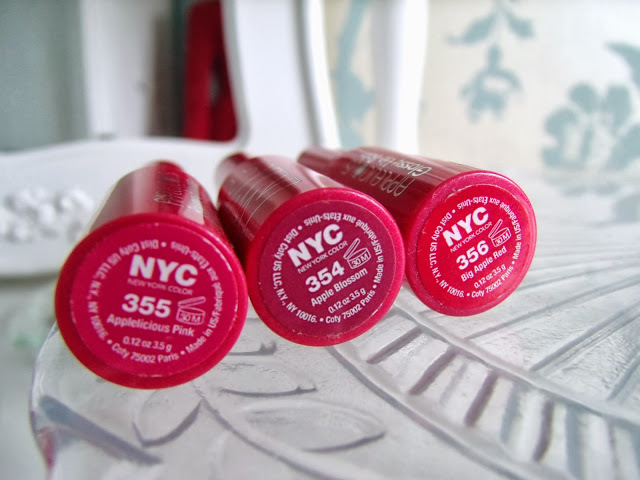 My favourite brands include 2True, Rimmel, NYC, and MUA, and rarely do any of their products cost more than £3 each! And I’ve no complaints; their products do what I want and look how I want so personally I don’t need to pay more. 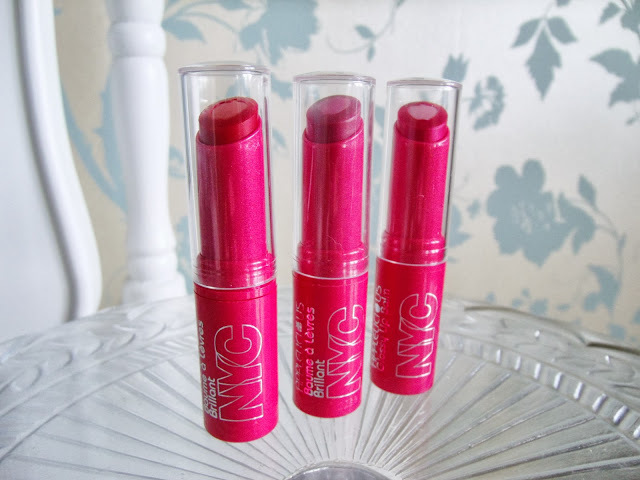 One of my favourite new bargain beauty discoveries is the Applelicious Lip Balm range by NYC. 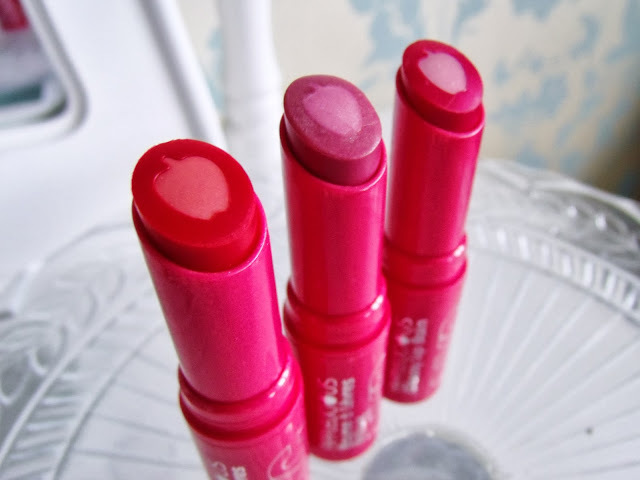 These are lip balms that twist up to reveal smooth pigmented colour with a really nie fruity apply scent. I use these daily, they’re perfect on their own to add a hint of colour whilst I’m at work, or I sometimes use them on top of a lipstick for a smooth sheen. 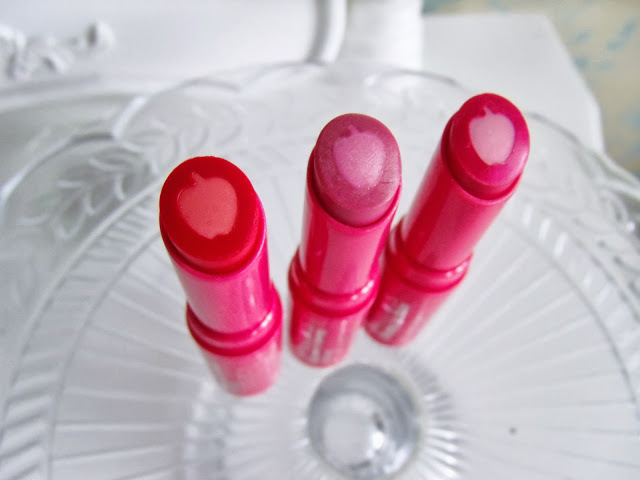 They come in five shades in the UK, and I have three of them. 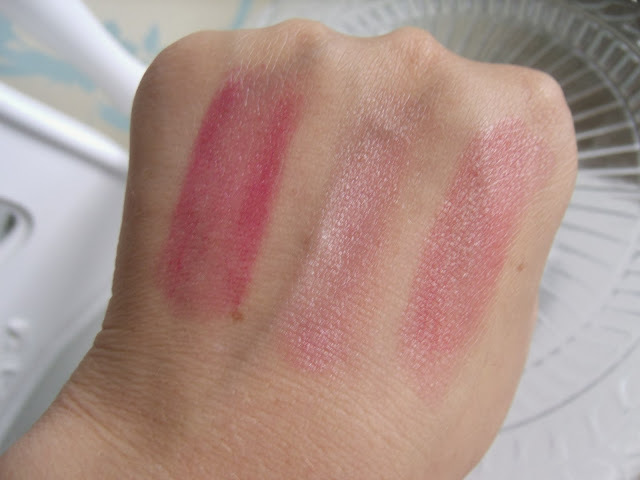 Big Apple Red has a hint of red to it, Apple Blossom is very sheer and just gives a golden shimmer, and Applelicious Pink is probably my favourite, as it is the most pigmented and gives lips a bright pink glow. Sorry my photos aren’t great at defining between the colours, they’re more pigmented in real life! They’re very moisturising and leaves lips soft, and they have a cute little apple through the core. Key ingredients include Shea Butter, Jojoba and Avocado Oil. Best of all, they’re only £2.49 from Superdrug! And it’s free delivery on orders until tomorrow. What lovely shades these all are! Can't wait to try them out for myself. Ooh those do look pretty, such a bargain! These sound really good, I like the fact that they have moisturising oils in them that will actually have a good effect on your lips! I prefer to only have a sheer wash of colour on my lips and the price is amazing! I'll definitely be picking up some of these to try! I'm the same, I buy lots of the cheaper product from boots and super drug. I get bored easily too! I haven't seen these around yet, but I'm definitely going to look out for them because they look gorgeous!